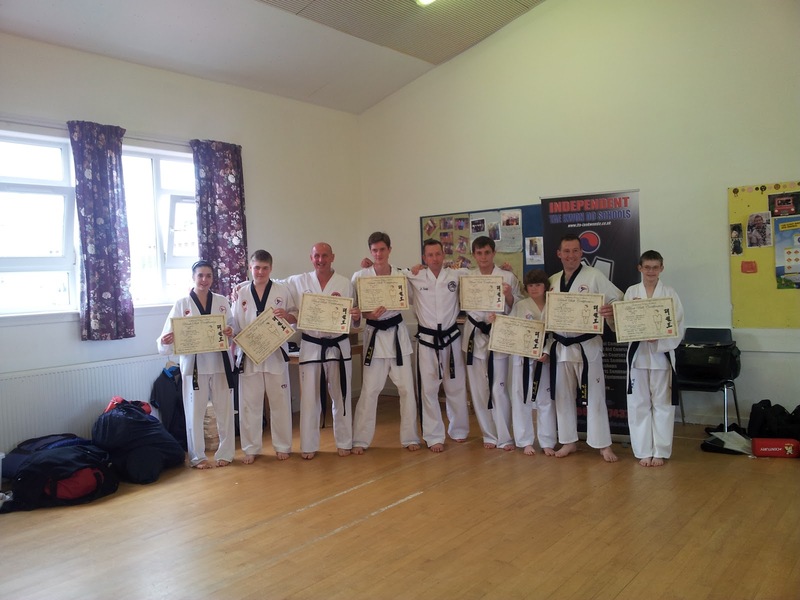 Congratulations to our newly promoted Blackbelts. Here are our newly promoted Blackbelts surrounded by some of their colleagues after an extremely technically and physically demanding Grading held last Saturday. The Grading was supervised by independent examiners Mr. Ross Fisher of Fife Taekwon Do Group and Mr John Swift, International Examiner from Bromsgrove where he is the Chief Instructor of Verve Taekwon Do and President of the Independent Taekwon Do Schools. They had nothing but praise for the focus and effort put into the Grading by all the students. Their expertise at their level and obvious dedication shone through. Well done all, your promotion is thoroughly deserved. Following the Blackbelt Grading on Saturday 23rd June there will be a fantastic Weapons, Explosive Kicking and Power Breaking Seminar which will be held in the Big Hall, Whitfield Parish Church, Haddington Crescent,Whitfield, DD4 0NA, from 2.00pm to 4.00pm. The age limit is 6 years and above so please book your place quickly as places are going fast. 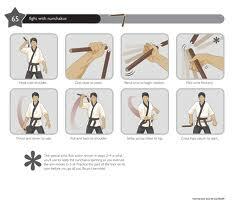 There will be Nanchukas, Bow Staff and Knife Defence Lessons and Demonstrations. 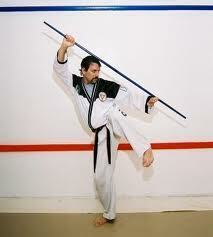 There will be Explosive Kicking, Triple and Spinning Kick Demos and Power Destruction of solid wood boards. This Seminar is not to be missed and I would like as many as possible to support this event. Welcome home Twins and congratulations to Paul, Marilyn and family from all at the Scottish Taekwon Do Federation. Here they are making their debut on the Dundee Wildcats website. Abigail and Alivia who are Paul and Marilyns identical twin girls and Gabriel and Nathans wee Sisters. They are absolutely beautiful and they can greet in stereo. Latest news now.....there is to be a Seminar for 6 years old and above after the Blackbelt Grading in the Big Hall, Whitfield Parish Church from 2.00pm to 4.00pm on the 23rd June. I would ask as many as possible to attend as Mr. Swift is coming up from Kidderminster to deliver the seminar and it will include a Nanchakus demonstration or as we may wrongly say Nunchucks, Explosive Kicking, Flying High and Multi Directional Kicking, Knife and Self Defence. The seminar will be very flexible and you can ask for whatever you like and if possible we will deliver it. So please get your name down for it as soon as you can as places will be snapped up quickly.